Washington: GPO, 1942. Bound in blue buckram, stamped in silver. A tight, clean copy of this 329 pp. book. A great reference on the U.S. Government at the time. . First Edition. Hard Cover. Very Good +/No Jacket. NY: Twentieth Century Fund, 1937. Bound in navy cloth, stamped in gold. A 102 pp. book on businesses back in the late 1930's. Tight, clean copy. . First Edition. Hard Cover. Very Good +/No Jacket. Cupertino, CA: Tandem Computers, 1994. Bound in stiff illustrated wraps. A 466 pp. book of software houses and solutions available to Tandem Computers users in 1994-1995. Includes hundreds of software providers and their wares to the community. Scarce -- no copies on OCLC/Worldcat. . First Edition. Soft Cover. Very Good ++/No Jacket. 4to - over 9¾" - 12" tall. New York: McGraw-Hill, 1990. Bound in dark blue boards with white lettering to spine. has light foxing to side page edges and is in otherwise near-fine condition. Dustwrapper shows scant wear to top edges and is in otherwise near-fine condition. 231 pgs.. First Edition. Hard Cover. Near Fine/Near Fine. 9 1/2" X 6". NY: Times Books, 2011. Bound in dark green boards, stamped in gold in matching currency themed dust jacket. 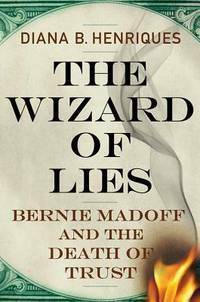 This is the first edition of this book that was the basis for the 2017 movie of the same name that starred Robert DeNiro. 419 pp. Everything that you ever wanted to know about the infamous "financial adviser". . First Edition. Hard Cover. Near Fine/Near Fine. 8vo - over 7¾" - 9¾" tall. Bethlehem: Bethlehem Steel, 1962. 10 various pamphlets on work safety bound in a matching slipcase with snap enclosure. All pamphlets are near fine -- the slipcase is very good +. This was given to floor supervisors at the Steel Mill. . Reprint. Hard Cover. Very Good +/No Jacket - As Published. 8vo - over 7¾" - 9¾" tall. U.S.A.: Hagley Museum and Library, 1985. Bound in navy cloth, stamped in gold. This is a 189 pp. book + index on the PP&L Power Company of Eastern Pennsylvania. A rather scarce record book on the Utility Company. . First Edition. Hard Cover. Near Fine/No Jacket. 8vo - over 7¾" - 9¾" tall. U.S.A.: Augustus M Kelley Pubs, 1970. A facsimile edition of the original. Bound in gray cloth, stamped in gold. This is part of the publisher's Library of Early American Business and Industry series. The original was published in 1840 and is considered a classic. 272 pp. + ads. . Reprint. Hard Cover. Very Good ++/No Jacket. 8vo - over 7¾" - 9¾" tall. U.S.A.: McGraw-Hill, 2000. Bound in gray cloth, stamped in gold with matching dust jacket. 179 pp. 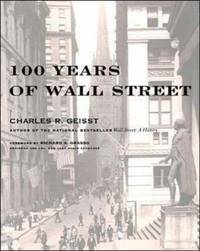 history of Wall Street. With stock certificate endsheets. . First Edition. Hard Cover. Near Fine/Near Fine. 4to - over 9¾" - 12" tall. NY: Knopf, 2007. Bound in black cloth, stamped in silver in bright white dust jacket. 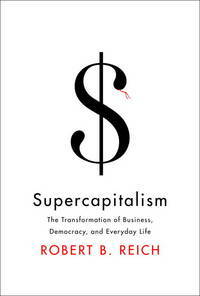 A tight, clean copy of the first edition of this book on Capitalism by the popular liberal author. 272 pp.. First Edition. Hard Cover. Near Fine/Near Fine. 8vo - over 7¾" - 9¾" tall. Hatfield, Pa.: Donna Blase, 1984. Bound in stiff colorfully illustrated wraps, spiral bound. A details company history on the pioneers of Farm Machinery in the U.S. 181 pp. . First Edition. Soft Cover. Near Fine/No Jacket. 8vo - over 7¾" - 9¾" tall. Virginia: Virginia Tech Foundation, 1994. Bound in pictoral glossy wraps with minor scuffing to spine folds, ends & corners. 126 pgs.. First Edition. Soft Cover. Near Fine/No Jacket. 11" X 8 1/2". Philadelphia: Blakiston, 1943. Bound in red leather, stamped in gold. A slim (30+ pages) on the history of the Blakiston Co. in Philadelphia. Hard to find in this protected condition. . First Edition. Hard Cover. Very Good +/No Jacket. 16mo - over 5¾" - 6¾" tall. Ithaca, New York, U.S.A.: Cornell Univ Pr, 1993. Bound in red cloth, stamped in black. The scarce hard cover first edition of this important work on the U.S. Steel industry with great photos by Milton Rogovin. 318 pp. . First Edition. Hard Cover. Near Fine/Near Fine. 4to - over 9¾" - 12" tall. State College, Pa.: PSU - School of Agriculture, 1944. Bound in white wraps, stamped in black. A scarce 34-page booklet on butchering. This is circular #270 from December of 1944. Lots of photographs on meat cutting. . First Edition. Soft Cover. Very Good +/No Jacket. 8vo - over 7¾" - 9¾" tall. Cleveland: World, 1958. Bound in tan cloth, stamped in red and black. This copy is signed on a bookplate affixed to the front free endpaper by Macy's Chairman of the Board and two Presidents (one from the corporation and one from Macy's NY). A little darkening to lower spine and bottom front edge of book - but still a decent copy. Dust jacket flaps laid in. 318 pp. . Firsr Edition. Hard Cover. Very Good +/No Jacket. 8vo. NY: American Telephone and Telegraph, 1914. This "talk" is part of supplement no. 30A for Brief Arguments against Public Ownership. 28 pp. Exceedingly scarce -- only one copy on OCLC. . First Edition. Soft Cover. Very Good +/No Jacket - As Published. 12mo - over 6¾" - 7¾" tall. Pamphlet.